Versital is delighted to have been specified across restaurant, bar and pub operators giant Mitchells and Butlers new Premium Country Pubs. 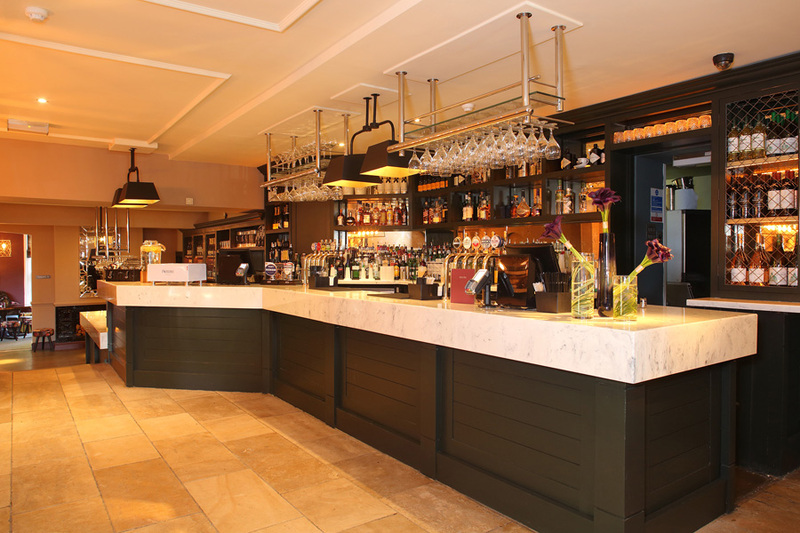 Versital’s luxurious faux marble in a classic ‘Arabesque’ white finish was chosen to complement the exclusive design of the upgraded establishments, found in some of the UK’s most beautiful locations. 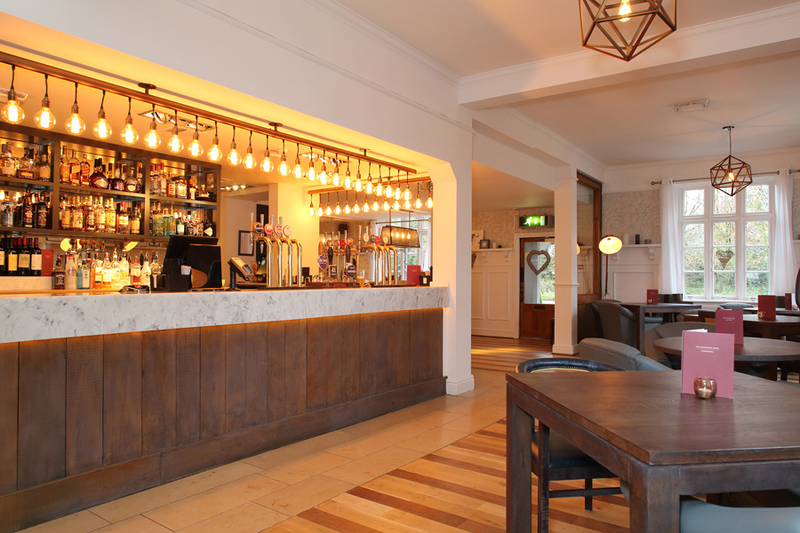 The concept of Premium Country Pubs focuses on style, quality fittings and aspiring artwork, and Versital was the natural choice to complement this design brief with its bespoke, high-end solutions. Versital surfaces include marble bar tops, vanity tops and table tops, dependent on location, with unique luxurious design twists such as built in champagne holders into some of the table tops. “Versital offers the perfect flexibility of design to help meet our brief- from any size or colour requirement, we know Versital can deliver. The elegance of the Arabesque finish enhanced the transformation of the original buildings into beautiful, welcoming and premium spaces where people can savour their meal or drink”. Versital surfaces provide an exceptional solution for a hospitality environment as they offer the same luxurious looks as marble but are non-porous and therefore stain and water resistant. The surfaces are also completely bespoke and handmade to fit any size, colour or design requirement, offering a truly unique design experience to the customer. “The fact that Versital was specified on multiple areas of the project is a great testament to the flexibility of Versital as a true to life stain resistant marble. As well as marble bar tops, the surface was used across various venues for the washroom vanities and table tops. We even created fully bespoke table tops that had cast out central areas to allow for ice buckets to be placed for champagne. This is precisely the type of work we love to get involved in – working with skilled designers and specifiers to use our product at its best, as well as brilliant installers and joiners to show off the product beautifully. Mitchells and Butlers are an excellent brand with a well-regarded reputation who we were delighted to work with”. 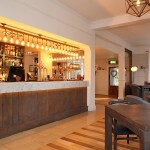 Versital features in numerous venues of Mitchell and Butlers new collection of individual Premium Country Pubs, designed to deliver the very best in service and food in a welcoming and relaxed atmosphere. Establishments include the idyllic Chilworth Arms in Southampton, which features a dramatic Versital marble bar top as well as marble table tops and vanity tops; the exclusive Belvedere Arms in Ascot with a Versital bar top, and the cosy Swan in the Cotswolds blending English heritage with modern comfort. This features striking Versital washroom vanities. Versital is a hand-made, hand finished product that is manufactured in the UK by skilled craftsmen. Product offerings include an extensive range of bespoke, made-to-measure hospitality and bathroom products including shower panels, bespoke shower trays, vanity tops, bar tops and table tops. To find out more or for a quotation, please get in touch by email for a personal bar top quotation, or call us on 01204 380780.